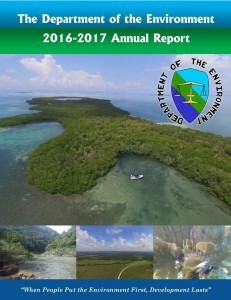 Annually, the Department of Environment releases a report sharing the accomplishments and challenges they have faced throughout their fiscal year. The report also includes upcoming events and projects. For the fiscal year of 2016-2017 the DOE processed 137 projects, of which 79 were of the environmental clearance variety. That figure shows a gradual increase in projects, compared to the previous year. This fiscal year, there were a large amount of tourism-based projects as well. A total of 180 compliance inspections were reported for 2016-2017, of which 80% were inspected and the remaining 20% will be addressed in the fiscal year of 2017-2018. 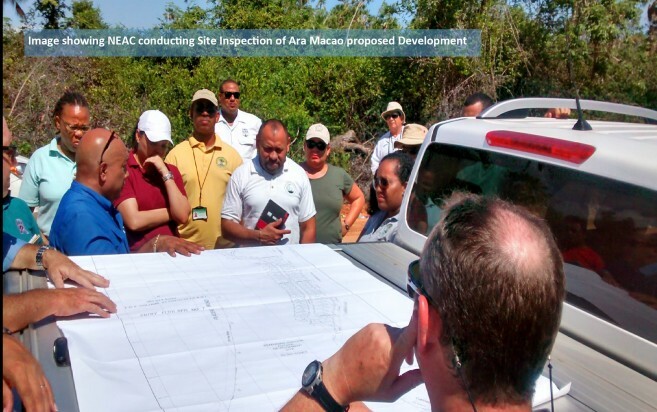 On Ambergis Caye, the DOE was not the only company that conducted compliance inspections. On Thursday, February 16th, the National Environment Appraisal Committee (NEAC) conducted a compliance inspection that revealed several projects requiring follow-up on o utstanding matters. During noise monitoring inspections, investigations were conducted in urban areas from 10pm-2am in every district. The districts with the highest noise pollution were the Cayo and Belize District. When it came to chemical waste management projects, the DOE collected 44 tons of chemical waste that were repackaged. 40 staff members were also trained on chemical waste management by an international company. The DOE reports one crucial accomplishment, which is the assessment and design of a modern Information Management System (IMS). The IMS was developed to provide effective management of data processing within the DOE. It will take a period of two years to have the system complete and functioning; the second phase will commence in the upcoming fiscal year of 2017-2018. As for education outreach, 2016-2017 was more successful than the previous year. 32 presentations were held in several districts, and the organization participated in 19 fairs and clean-up events. For the 2016-2017 fiscal year, the DOE also developed their first reality competition show entitled “Enviroconnect Belize” which educated audiences through various challenges, and is available on the Channel 5 Belize YouTube channel. The year was not without its challenges however, as evidenced by the large number of environmental clearance projects they undertook. Due to an overwhelming amount of garbage, cleanups were quite necessary. One particular event, “The Walk for a Green Belize”, netted an estimated 785(33-55 gallon-size) bags of garbage weighing approximately 9,806.56 pounds. The general public is advised to be more mindful of their waste disposal methods, as our environment depends on us to keep it clean. 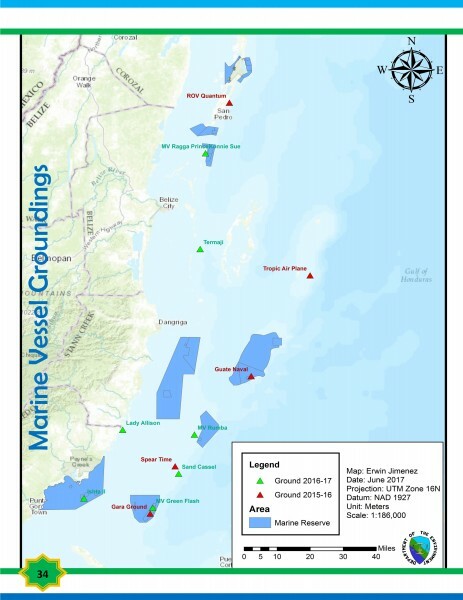 Another challenge, DOE reported nine incidents of Marine Groundings for 2106-2017. The main location for these incidents were at San Pedro, Caye Caulker and Raguana Caye. These groundings have a negative impact on the marine ecosystem, as they damage the coral and sea beds, which take a long time to recover. The DOE reminds captains of vessels to be mindful when navigating Belizean waters, to ensure their preservation for the future. The Department of the Environment (DOE) was officially established as an organization on October 14, 1992. It is presently headed by chief executive officer Mr. Martin Alegria. On Saturday, October 14th the Department of Environments’ 25th Anniversary will be celebrated under the theme: “Celebrating 25 years of Environmental Sustainability: providing, educating and developing together”. The DOE’s main objectives are to identify major environmental problems confronting Belize, and to work towards the solutions to said problems, as well as to foster an appreciation for the country’s natural environment, while teaching the importance of a healthy environment in the pursuit of social and economic well-being of all Belizeans. To learn more on the DOE report release 2016-2017, you can visit www.doe.org.bz.